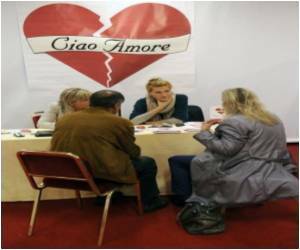 Media reports indicate that an Italian couple in their 90s will become the world's oldest divorcees. This was after the husband found out about an affair his wife had in the 1940s. The 99-year-old man, identified by lawyers only as Antonio C, was going through an old chest of drawers when he made the discovery about his 96-year-old wife of 77 years, named as Rosa C.
He immediately confronted her and demanded a divorce. She reportedly confessed to everything but was unable to persuade him to reconsider his decision. According to court papers released in Rome this week, Rosa C wrote the letters to her lover during a secret affair in the 1940s, the Telegraph reported. The couple is now preparing to split, despite the ties they forged for nearly eight decades - they have five children, a dozen grandchildren and one great-grand child. The discovery of the letters was the final straw for a marriage which had already run into difficulty - 10 years ago the husband briefly left their house in Rome and moved in with one of his sons, only to return a few weeks later. The case appears to set a new record, at least for the age of the oldest protagonist - the previous oldest couple to divorce were Bertie and Jessie Wood, both aged 98, from the UK.